I am told I give amazing hugs and yet I still cannot comfortably imagine hugging my own mother. The limitations of our relationship were greater than great and eventually there came a time in my journey when I hit a wall which seemed to say, Robin, this is as far as you can go as long as you need your mother to stay “mother” to you. If you continue to need her to be “mother” then forever this is the “daughter” you will remain and the possibilities for your ease and freedom will be very very limited. Staying there at that wall meant forever accepting a toxic love. Staying there meant I would would stay a victim and she would be the perpetrator. It would imply my powerlessness and affirm my unloveableness. It also meant I would continue a pattern of seeking out toxic “mothers” who would have no choice but to reject me. When this all really sunk in, I began to dismantle the wall. I started to see my mother as a person on her own journey and I began to let myself be mothered elsewhere. I began embracing what it meant to be my very own mama. It’s hard to imagine sometimes that a parent could ever decide to have a child and then be such an unkind, unsafe haven for that child and yet it happens all the time. There is a very big portion of the population walking around wondering why their mamas didn’t love them. It’s so painful. Speaking for myself, wondering why she didn’t love me is not the important part. The fact is I cannot know for sure that she did not and I am not interested in the too-tiny life sucking story that says I am not loveable. I want to practice compassion and kindness and gratitude for each of my perceptions about what happened, I want to let go and transcend the energies which are not serving my highest good. Being our own mamas means letting go of the limitations and embracing a higher love. Just because our own mamas couldn’t, it doesn’t mean we aren’t deserving of love. It means we need to develop the heart space and inner capacity to hold and love ourselves. We need to sit with what happened, all of it, including the feelings, as unpleasant as they are and connect some new dots about it all. Sometimes it’s very helpful for us to see the bigger picture: Our moms had a mom and that mom had one too. Our lineage goes very far back, and this pattern of wounding has been passed down from one generation to the next. Even though each generation had its awakening and there were improvements along the way, we still have a way to go. If we could interview each mama in the lineage they would all say they did their best and they would all say they felt terrible about the brokenness too. At some point on their own journey, our mamas became wounded. As I began to have compassion for my mother and her own journey, it all became a bit easier. Forgiveness came in little by little. My mom did the best she could with what she knew. Nope, in many respects this was not adequate. Your mom did what she did with what she knew. The thing is, you were harmed in the process… some things in you were altered as a result and it’s up to you now to give yourself what you are feeling is lacking. It’s up to you to decide this will not be the end of the journey. 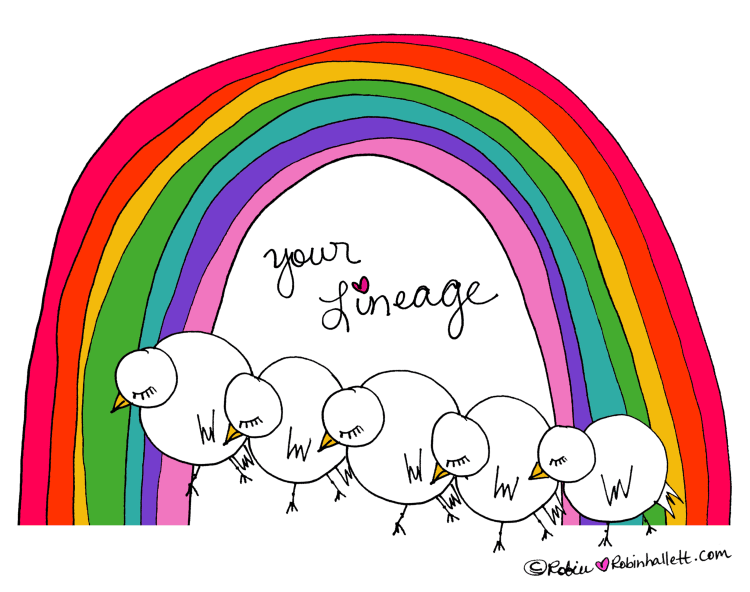 It’s up to you to decide that this lineage can be healed through your own actions going forward. 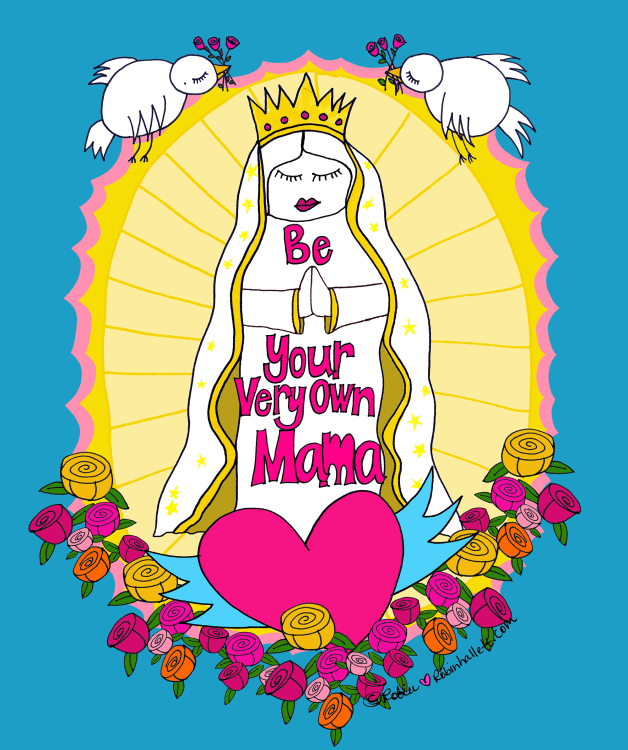 You are your very own mama now. You are the one in the lineage with the understanding and power and ability to break the pattern now. You are the one who has the capacity to be the change and I know you are doing your best to heal these pieces in your own heart. Also, isn’t it funny to think about the generation after yours and how they will probably do it better too. As we get older and have more opportunities for life to mirror our own mistakes back to us, we have a chance to practice compassion for the ways our parents got it wrong. This is the journey. You are the mama now, you can love yourself and give yourself everything you are needing. You can even seek out safe and loving “mother others” who will help you. Being your own mama never means doing it alone. Good mamas know more is better. Wholeness is right here inside your heart, even though you feel broken at times. Nobody has the power to make you whole. 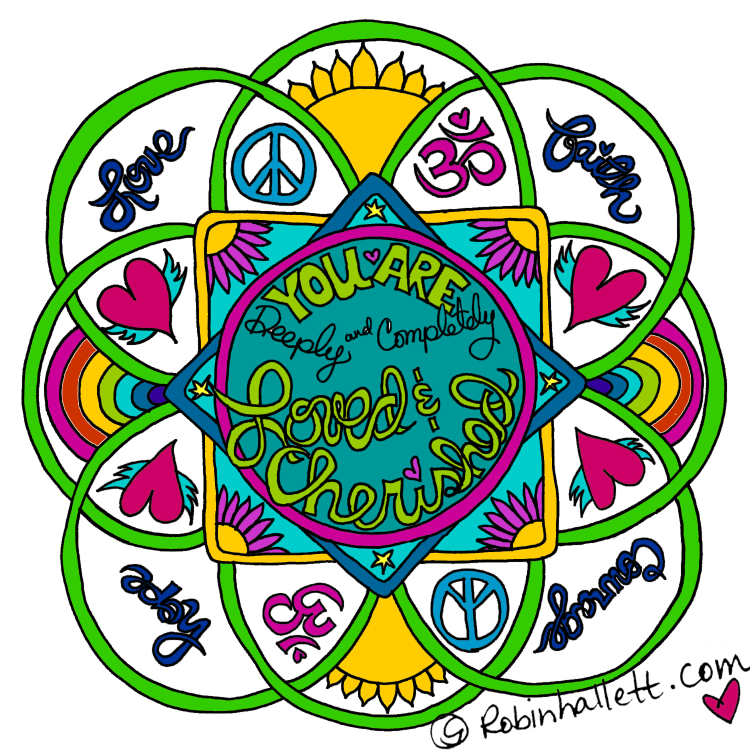 Wholeness was there inside you all along, it’s a frequency you can choose to tune to. With Mother’s day so close, I am remembering you today. You are your very own mama. It’s time to let the other one off the hook and go beyond the limited parenting you received. Let yourself feel and receive all of what you truly wanted from your very own self.